GENKAN is the revolutionary “in the cloud” approach to holiday rental property management that the industry has awaited since the internet changed the business of holiday rental management forever. Providing the superior online solution for professional holiday and short term rental managers and property owners in the business of professional short term rental and Holiday Rental GENKAN incorporates functionality in one software solution only previously available by licensing multiple softwares with the hassle to integrate your system. 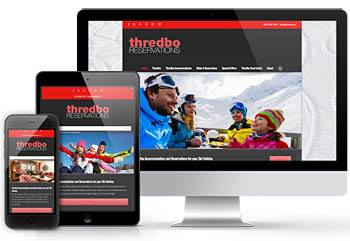 Genkan is software built by holiday rental managers in ski resort operation for holiday rental managers everywhere. Being property managers we understand property owners concerns over increasing energy bills and with that provide through API technology integration with Google Home and Google Assistant for smart home operation. 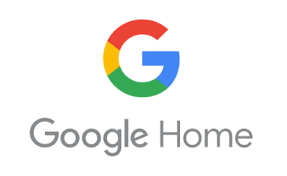 Smart Home Technology API with Google home. GENKAN is the only total, “end to end” online holiday rental, villa property management software and short term software solution for Real Estate agents specialising in holiday property management and reservations. 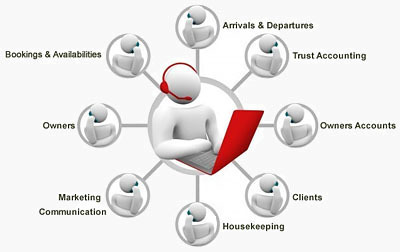 This style of software solution is often referred to as CRM or Customer Relationship Management. With integrated statutory trust accounting, GENKAN features email and SMS marketing, surveys, loyalty, back office, housekeeping, client booking manager, big data and property owner management functionality plus much more. RezKey is GENKAN for holiday rental property owners who want to self manage ( DIY ) their holiday home or investment property. 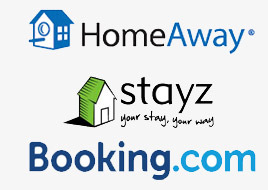 Featuring many of the Genkan features including direct connect connectivity to OTA channels such as HomeAway / Stayz, Tripadvisor, AirBNB and Booking.com RezKey is professional easy and simple at the same time. Unlike many holiday rental property management solutions GENKAN has been developed, designed and built by holiday property management professionals in Australia with experience in several area’s of the world and not software designers who continually build to how they think the industry works and whats best for it’s users. It’s simply built for everyone That's Right, It's For You! , and can be as simple or complex as you want it to be. We truly care about our users needs and requirements. Its all about the end product which is why our users love Genkan! Users growing daily! You will too with the continous updates, new functionality & the most incredible support around. With over Users increasing every day 800+ Sales Per Week! , GENKAN is the right choice for you! Simply put, its the most complete and trusted We Love Our Users! Holiday Rental Property Management Solution available in the world today. With installations all around the world including United Arab Emirates, Japan, Thailand, United Kingdom, France, Italy, Portugal Spain New Zealand and of course, Australia. GENKAN is a truly international solution. GENKAN is the total, “end to end” online holiday rental and villa property management CRM software solution for Real Estate agents specialising in holiday property management and reservations. This style of software solution is often referred to as CRM. With integrated trust accounting, GENKAN features email and SMS marketing, back office, housekeeping, client booking manager and property owner management functionality plus much more. In fact GENKAN has been developed, designed and built by one of the most successful totally online holiday reservation property management – real estate companies of the past 15 years demonstrating real growth and profitability through marketing innovation with cost reductions. GENKAN has been developed and designed to remove the labour cost from property management by automating as much of the entire process that is possible but at the same time provide visitors to your accommodation website unique information to make their purchasing decision easy. GENKAN Mission is to be at the forefront in providing the best possible property management CRM solution for holiday rentals and short term rentals worldwide. The philosophy behind GENKAN is one total complete all in one solution, one database and a culture within all designed to automate as many tasks as possible and reduce manual labour costs. To deliver as much as humanly possible and beyond in this one complete in the cloud software solution. GENKAN delivers, and will continue to deliver a world class software solution for the Holiday rental and short term rental industry no matter where you are in the world. Let’s See What Some of Our Users Have To Say…. We love our users Yep, we certainly do! , and are fully dedicated to keeping their trust. When you buy Genkan, you won’t ever have to worry We strive to please our users about customer support! Pros: The defining thing about GENKAN is that it covers all your bases. No need to subscribe to Console and Yes Bookit, then upload backwards and forwards. GENKAN provides built in Trust Accounting, real time bookings, web integration and an owners section with real time transparency. Overall: It’ll save you time and money, and give your staff, owners and users a clean experience. Try it out! This program has saved my sanity. I was seriously thinking of selling the business as it was taking up a lot of my time and cross over of using a manual spread sheet for the bookings and not to mention the number of phone calls and emails I received I was constantly attached to either the computer adjusting etc or the phone. Now the ease of booking and paying online and the automated emails have saved me and I am now once again enjoying the business. Thank you Genkan for all your help and efforts. I look forward to a continued relationship with you and also the new enhanced programs to come. At Genkan, we build web sites with usability in mind. It's a one stop service for all your vacation rental property management needs.